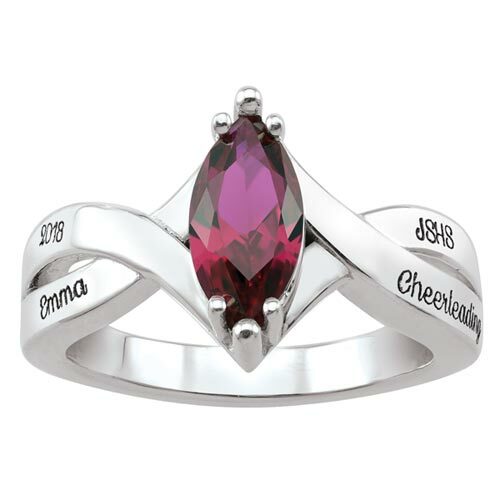 The sterling silver Festive class ring is set with a large 10mm x 5mm marquise cut simulated gemstone of your choice. Engrave the ring with your name, graduation year and high school name. Each engraving area can fit up to 12 characters. Standard fit. Made in Canada.